I’ll take a Steinbek with breakfast, a Hemingway with lunch, a Bronte with dinner, and a Stoker to wake me up in the morning please. I don’t know if this is the same person but I hope you are okay. John Atkinson was killed in the Manchester attacks. Please tell me it’s not the same person. Alive and well, but so sad for the families. Spot On! Enjoy the day. 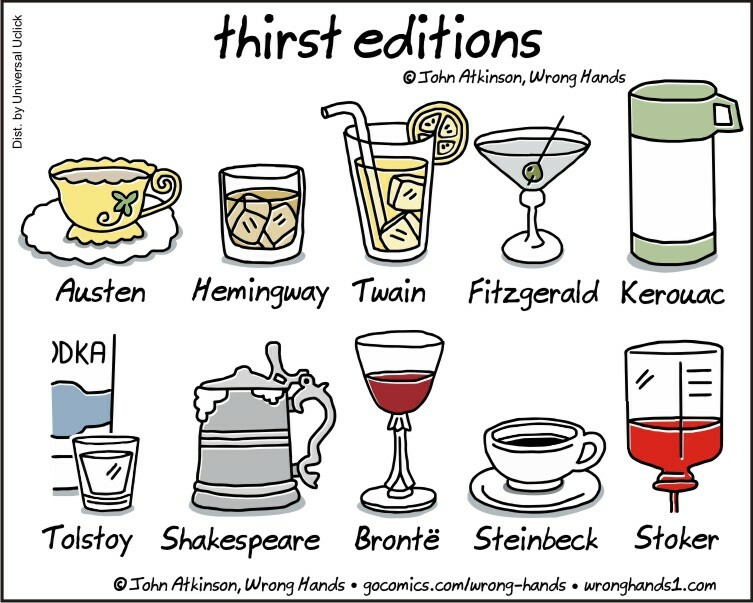 Thirst Editions by John Atkinson. Check Out John’s Blog. Enjoy.